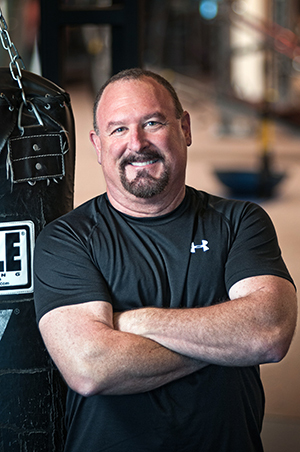 Cal Fit Success Story: Folsom Member, Vince R.
Before I started my program with California Family Fitness, I was 50 pounds overweight and 36% body fat. I was on medication for high blood pressure, had very little energy, and fatigued easily doing simple chores like walking up the stairs in my home. I was depressed with the body I had morphed into. Worst of all, my family had become embarrassed by my physical appearance, too. Ouch! My doctor urged me to join the gym to regain my health and ultimately to reshape my physique into the person my wife married 30 years ago! Not an easy task for someone who had neglected himself for the last 15+ years. I felt very uncomfortable and overwhelmed the first time I went in for a tour of the gym. I had no idea how to use all of the different equipment and was NOT looking forward to coming back! After some initial hesitation I took a big breath and decided it was time to join. Several days went by and I was "getting ready to get ready" when I received a call from a personal trainerwho encouraged me to come in and meet with him to put together a program for me to follow. Now I had a reason to go in! I mustered up the courage and arrived for the appointment having no idea what would await me. To my surprise, I was met by a very pleasant and friendly staff who were quick to ask my name and offer positive encouragement to me, sensing I was a "newbie" to the gym experience and not wanting to scare me away. The trainer was very polite, professional, and straight forward. After a series of questions, he put me through an introductory workout to assess my overall fitness level. After 15 minutes I thought I was going to die! This is what I had become... overweight, out of shape, and embarrassed by what I was unable to do with the simplest of exercises. That 30 minute session CHANGED MY LIFE. I decided I needed a Personal Trainer to assist me in my journey because this was going to be really hard and I needed the accountability. I signed up for 3 sessions per week for a month. One month become three months, three months became six, and six months became a year. My experience with CFF has been an incredible journey. Today I'm well over a year into my transformation and have lost over 40 pounds and replaced it with lean muscle. My blood pressure is perfectly normal and my body fat has dropped to around 20%. I've got the energy and stamina that I had 20 years ago, and best of all, my family is now proud of my physical appearance. YEAH! Now I absolutely love working out. 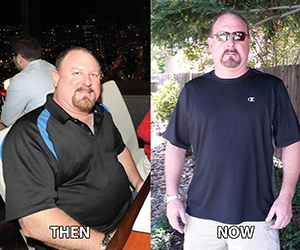 I've radically changed my nutrition to allow me to get the most out of my exercise program. I've made numerous friends who I see at the gym regularly. I'm constantly learning new techniques and nutritional tips from trainers, staff, and friends. Now I introduce myself to people who I see coming in for the first or second time and use my own experiences as a source of encouragement to others. I am very appreciative to my trainer, Dustin LaPierre who didn't allow my excuses to derail me and pushed me to levels I didn't know I had within me. I can't wait to see what the next year allows me to achieve with my trainer, staff, and the many friends I have at the gym. I hope your next year will be inspired by the spirit of someone who chose to take on this challenge before you. You can do it and I hope to meet you at CFF Folsom soon!